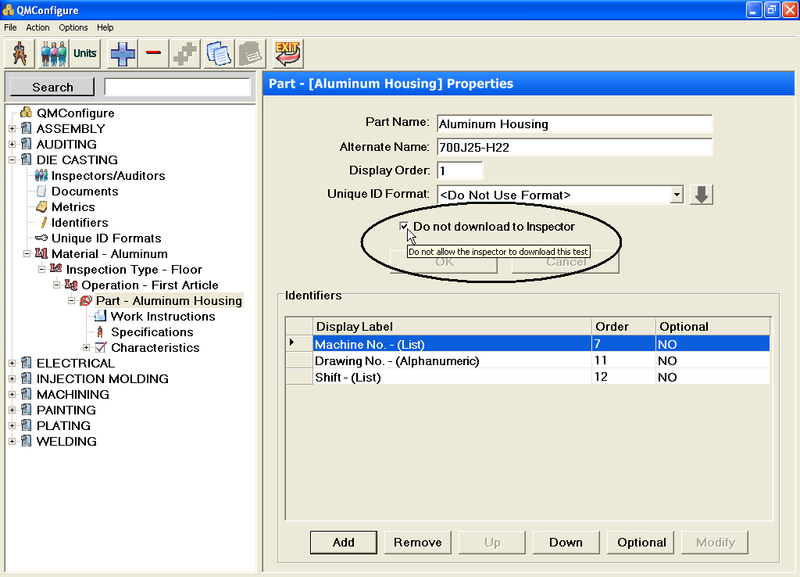 The QMConfigure Module allows the Quality Control Supervisor/Engineer to define the requirements for an inspection/audit. They can define what type of information will be collected and how the data will be entered by the Inspector/Auditor. 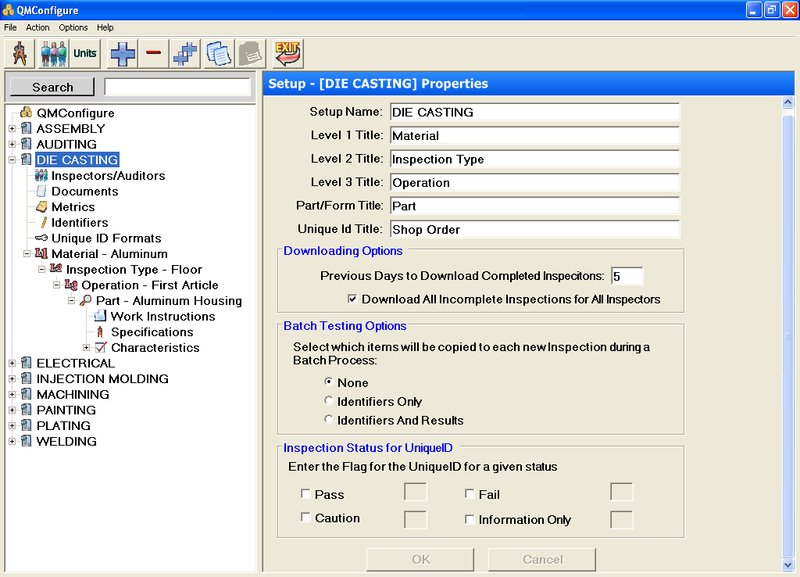 The Inspection requirements can be different or the same for each inspection or part being inspected. 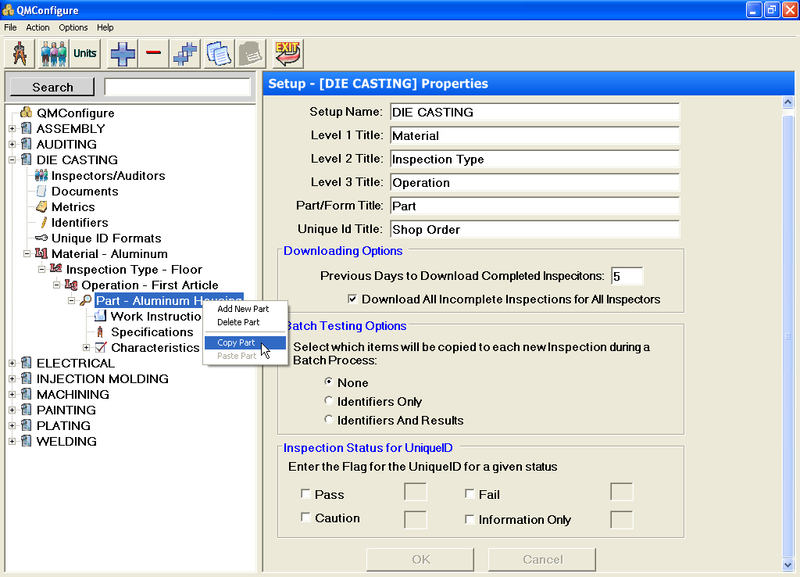 The inspection requirements are then downloaded to the individual QMInspect Modules. Images for Characteristics that will assist the Inspector/Auditor.